Spring 2013 Carpet Cleaning Tip from PRO: Green carpet cleaning? Plus a fabulous Spring Green Carpet Cleaning Coupon for 2013! With the recent executive order issued by Governor Mark Dayton instructing all state agencies to stop buying products containing triclosan, many individuals and businesses are revisiting their personal contribution to Minnesota’s environment at large. Triclosan, as a common agent in hand, laundry and other soaps, has found its way into our lakes and rivers – what else are we contributing and what can we do to improve the care we take regarding our natural resources? At Professional Carpet & Upholstery Cleaners, we are concerned enough to review multiple times throughout the year our opportunities to purchase green carpet cleaning, spot carpet treatment and other products we may use. We are careful to select those products we feel are efficient and effective, however we don’t stop there. Our technicians are concerned about both your home environment and the greater natural environment, and therefore will only use the product amount necessary for your cleaning project. Overuse is an instant negative contribution and we are mindful of this simple fact. 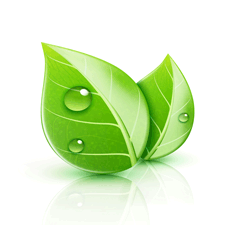 Three Green Carpet Cleaning Options – Every Day! 3) A pure hot-water extraction-only cleaning, which is soft-water based, and is absolutely chemical free. So, in the end you know your carpet cleaning footprint is entirely up to you – and by choosing PRO as your carpet cleaning service, you can be confident that we are offering the best options available today and customizing our process to fit your needs! Beyond offering green carpet cleaning, we’d like to offer a little something extra this month: a Spring Green Carpet Cleaning Coupon! Schedule your spring carpet cleaning by May 10, 2013 and receive 20% off your carpet cleaning order.